If you also have received such type of Message, then you need to let the know the fact that this website is a fake one. This Mail was sent to following Address on 25th of April 2014. I am NOT here to waste your time. BBC ONE ONLINE DRAW on our 2014 charity bonanza. THE RESERVE BANK OF INDIA ELECTRONIC TRANSFER DEPT Donation Funds Of 500,000!! 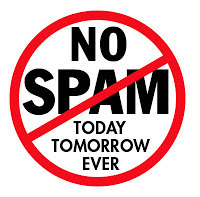 NOTE :You might receive this message in your spam or junk folder depends on your web host. Therefore, we are writing this email to inform you that (£500,000.00 GBP) will be release to you in your name, as it was committed for (RBI) Governor that Beneficiary will have to pay crediting fees only. So you are therefore required to pay a refundable fee of (15,500 INR) only in cash deposit to credit your account immediately. Also reconfirm your details for crediting filling the form below and send it immediately to our [email protected] for verification. Every document including certificate of fund, brochure of company will be courier to your home address immediately after your transfer. Account Notice Gmail users You have 1 new security alert Click to confirm. You have 1 new security alert Click to confirm.